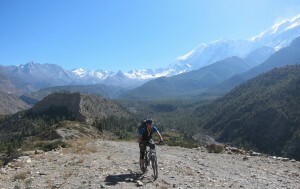 As we’ve outlined on our homepage, the aim of these trips is to offer what we consider to be a ‘proper’ mountain biking experience, set against the immense and culturally fascinating backdrop of the Himalayas. So what do we consider to be ‘proper’ mountain biking and how do we expect this to differ from some of the other Himalayan cycling experiences? Well for us, ‘proper’ mountain biking means plenty of singletrack riding with a healthy dollop of technical challenges thrown in for good measure. 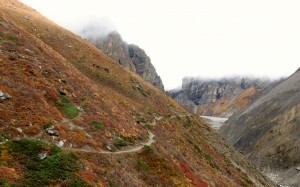 The climbs, although at times grueling, we feel are a necessary and rewarding part of all that. We offer a true ‘All Mountain’ adventure and very few of the trails we use are built specifically as mtb tracks in the ‘bike park’ or ‘trail center’ style. 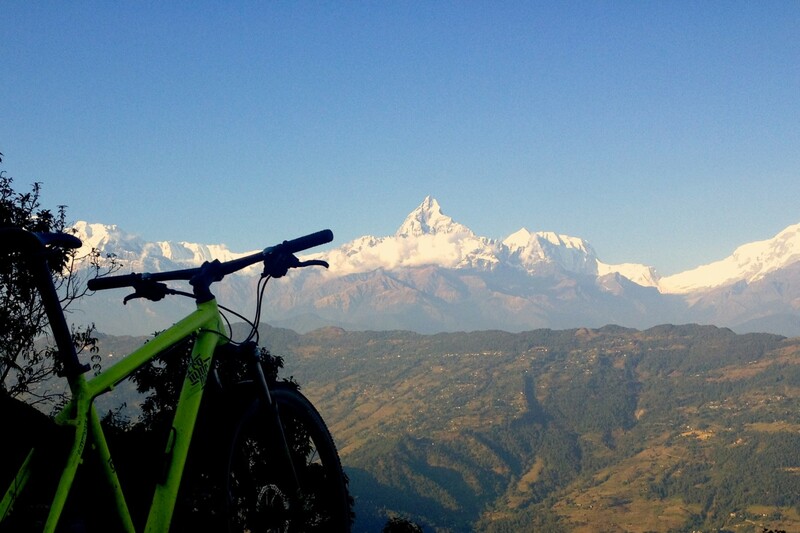 Along with our local nepali mtb experts we’ve searched high and low to find the best trails to ride, amongst a multitude of walking tracks covering a variety of different terrain. These tracks have historically represented the sole access for locals to most of this mountainous landscape and more recently have been developed further as trekking trails; some of the settlements we’ll pass through are still only accessible in this way! At all times we’ll be mindful that we treat the landscape and the people who live in it with the utmost respect, minimising our impact and ensuring a sustainable future for mountain biking in the region. The trails themselves can be at times steep, rocky and have occasional stepped sections but plenty of smooth and flowy riding too. Given the nature of the landscape we do use some 4×4 tracks and the occasional paved road to access the trails and to avoid totally unrideable sections but, the main focus is always on the singletrack and mostly on the thrill of the descents! Where other ‘Adventure’ cycling experiences may seek to pass through these landscapes via the path of least resistance, we put the effort in to get you the best riding we can from the terrain. To get the most out of the trip we’d expect our guests to have reasonable experience in this ‘All Mountain’ style of riding and have a base level of fitness to cope with the climbs and exertion of exercising at altitude. Like all of our holidays we concentrate on riding the most rewarding trails we can but first and foremost we’re concerned that it should be a holiday for you, our guests. We don’t want to push you too far and no one will be expected to ride anything they don’t want to, especially given the serious nature of the landscape. No one in the group will ever be left behind and we’ll have a minimum of 3 experienced guides (Mark or Pete being at least one of these guides) per group allowing us, at times, to offer variable options depending on what individuals in the group may want. Whilst we are there for the riding we also want you to experience the unique culture of Nepal so there’ll be plenty of stops at interesting spots or for the odd refreshing masala chai! Some relatively short days will be used to safely acclimatise you when we move into high altitude regions thus giving you the time to really experience the amazing places we’ll be passing through. 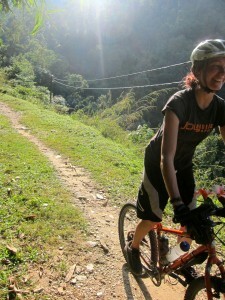 We think we’ve put together the best mountain biking holidays nepal has to offer and we can’t wait to share it with you.